The 2019 Miami International Boat Show is the place to be for high-performance boaters and this year’s show February 14-18 is no exception. Boatbuilders, engine manufacturers and aftermarket companies have a slew of new products they’ll be introducing in Miami. For those attending the show in Miami Marine Stadium Park & Basin, here’s a few displays you should stop by over the weekend. Mercury Marine and Raymarine will demonstrate DockSense on a Boston Whaler. —Mercury Racing is expected to make a splash with new outboard introductions, although the specifics are being embargoed until the show. 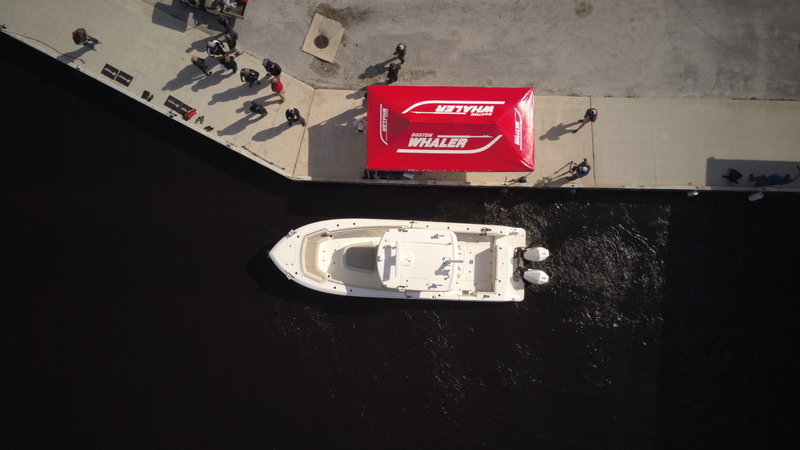 Boaters should stop by and try out the self-docking Boston Whaler. DockSense, which is a partnership between Raymarine and Mercury, take autonomous boating to the next level. Cigarette Racing will display its new 59-footer Tirranna in the Miami show. 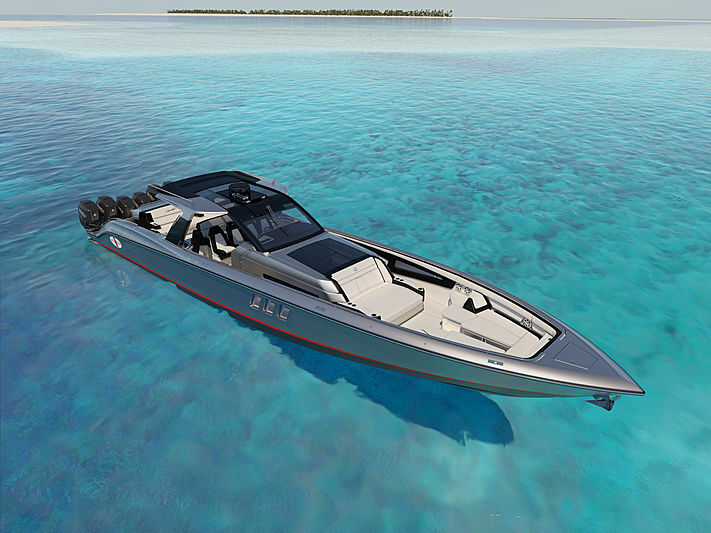 —Cigarette Racing will unwrap the new Tirranna, a center-console with six outboard engines. The company says the new boat “embodies the next level of luxury and performance” and can be seen on Pier 2 in Miami Marine Stadium. 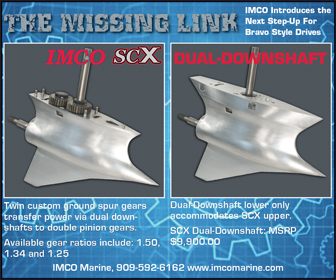 –The Donzi Icon 44 catamaran with quad Mercury Racing Verado 400R outboards makes its pubic debut. Know for its legendary V-bottoms, the catamaran is a first for Donzi Marine. The boat reportedly ran 115 mph in early testing. Donzi Marine will also show off its new 41GT sport boat with triple Mercury Racing 400 Verado outboards. 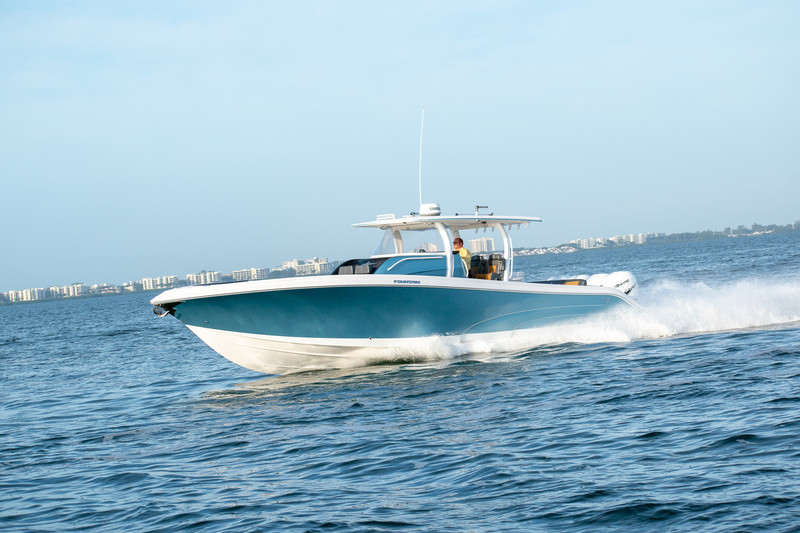 Fountain Powerboats’ 42NX is the largest center console the company makes and will debut in Miami. —Fountain Powerboats, also under the Iconic Marine brand, is going to debut the largest center-console boat the company has ever built. The 42NX Luxury Performance center console will have four Mercury Racing 400R Verado outboards on the transom. 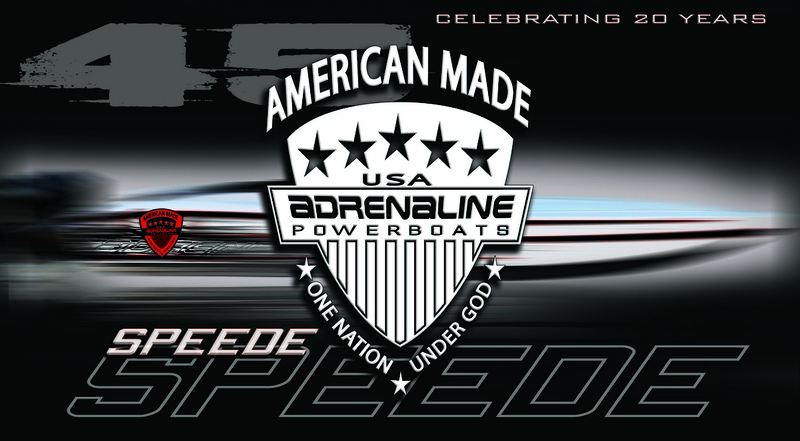 —Adrenaline Powerboats is unveiling its new 45 Speede with triple Mercury Racing 400R in Miami. The 45 Speede is the company’s only outboard-powered offering. 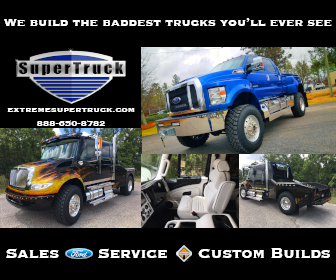 Adrenaline expects a top speed of 110 to 120 mph after its dialed in. —Marine Technology Inc. will have five models in the Miami show in their on-water exhibit at the end of pier 2. The boats MTI will showcasing include: 2019 340X with twin Mercurys; 2019 42V pleasure version; 2018 42V XSF version, 57’ XSF and a 2019 48’ Cat. The Miami International Boat Show is expected to attract more than 100,000 people during its five-day run, Thursday-Monday. Show hours are from 10 a.m. to 6 p.m. Tickets for the premier day are $40, single-day pass is $25 for the other days. Tickets can be purchased at www.miamiboatshow.com.